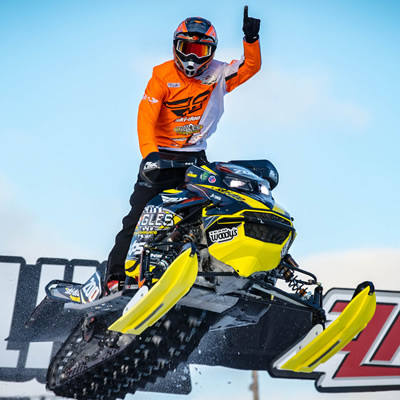 Ski-Doo X-Team snocross racers left little doubt as to who the team to beat is this season after an incredibly dominant performance in Duluth, Minn. this past weekend. Claiming 5 of 6 Pro podium places, plus wins in Pro Lite and Women’s Pro-Am classes on the weekend. Armed with a new Ski-Doo MXZx 600 RS E-TEC race sled, X-Team racers started fast and never looked back. Strong performances in qualifying heat races had riders setup well for the finals. Saturday’s opening round saw 5 of the top 6 qualifiers aboard Ski-Doo sleds, and they took full advantage. An all-Ski-Doo assault on the podium ensued in Round 1 as Elias Ishoel (BOSS Racing) took the checkers ahead of Lincoln Lemieux (Scheuring Speed Sports) and Tim Tremblay (Warnert Racing) to complete the sweep. Sunday’s Round 2 racing nearly saw a repeat Ski-Doo sweep. This time it was Lemieux pulling away from the field and riding smooth lines to victory. He had to fight his way through the LCQ in order to make the main, but finishing off the day leading all 18 laps for the win was the perfect way for the Vermont-native to celebrate his 25th birthday. Elias Ishoel finished in third to cap his own double podium showing on the weekend. 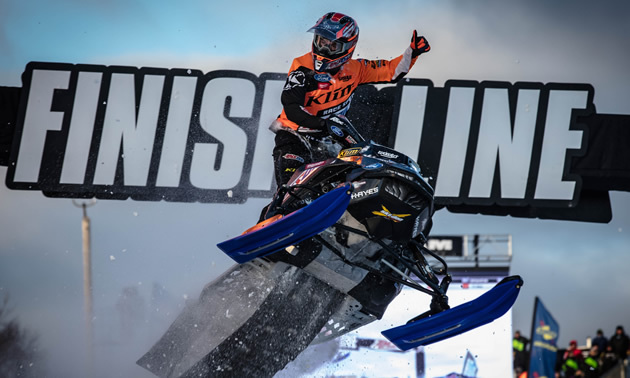 Adam Renheim (Warnert Racing) started the 2018-19 Snocross race season in fine fashion winning the $10,000 Dominator Race Friday night in Duluth, Minn. Renheim’s win capped an impressive opening night of action for Ski-Doo athletes in the season’s opening event. The four semi-finalists in the single elimination tournament-style competition were all aboard the new Ski-Doo MXZx RS. Renheim raced his way through the competition to meet with Warnert Racing teammate Tim Tremblay in the semi-finals. On the other side of the bracket it was another pair of Ski-Doo teammates – BOSS Racing’s Aki Pihlaja and Elias Ishoel – squaring off in the second semi-final. Renheim and Pihlaja advanced to the finals with their semi-final wins. 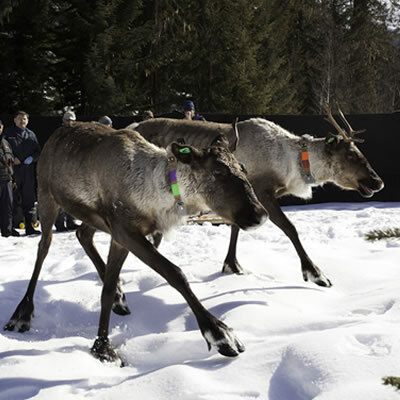 Tremblay also advanced to the final round by virtue of being the next fastest semi-finalist. 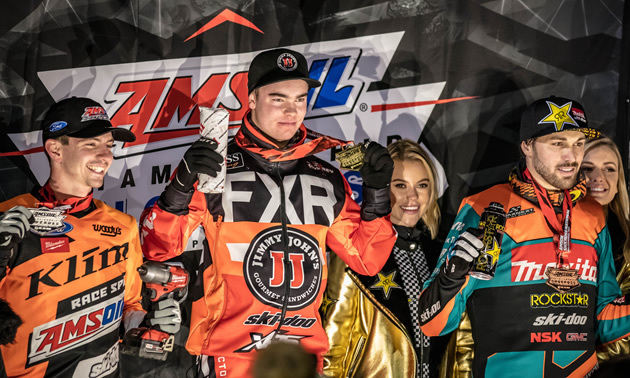 The all Ski-Doo three-man race for the cash was led wire-to-wire by Renheim to cap a stellar start to the Snocross season for Ski-Doo X-Team racers. Leo Patenaude (Ingles Performance) capped a stellar weekend for the Ski-Doo X-Team Pro Lite racers with a win in Sunday’s Round 2 final. 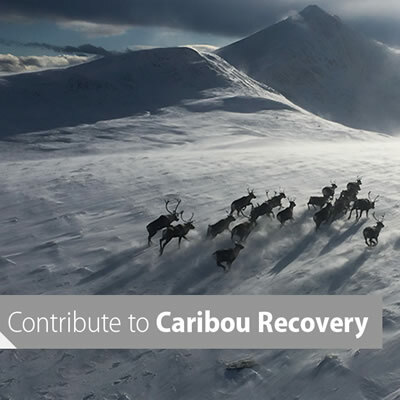 He fought his way through a first corner pile up and was never seriously threatened again, flying across the finish line more than six seconds ahead of the next closest competitor – Ski-Doo’s Francis Pelletier (Warnert Racing). It was Pelletier’s second trip to the podium on the weekend as he finished behind Leo’s brother Hunter (Scheuring Speed Sports) who was second in Saturday night’s final, and followed by Ski-Doo racers Max Taillefer in 4th and Marcus Ogemar in 5th . Defending Women’s Pro-Am champion Megan Brodeur returned to the track at Duluth’s Spirit Mountain in fine form. Claiming a hard-fought win on Saturday and making a last lap pass for another win on Sunday, Brodeur picked up where she left off after dominating nearly every race a season ago. Sunday’s Pro Women’s action was some of the most exciting of the weekend. Mid-way through the final race, Brodeur found herself more than three seconds behind the leader. Amazingly, she was able to turn in one fast lap after another to track down the leader. Her ferocious effort set up a drag race to the finish line with Brodeur making the pass for the lead just as the two racers crossed the line.